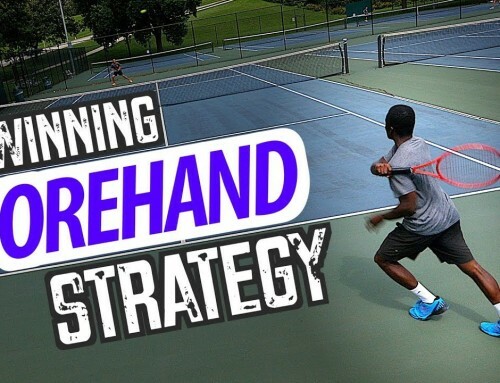 Keep Your Forehand From Sailing Long! 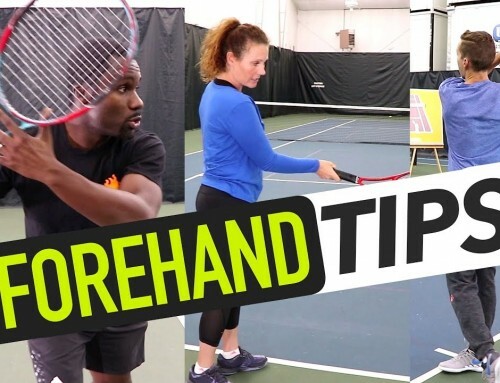 Home/Videos/Forehand Technique/Keep Your Forehand From Sailing Long! 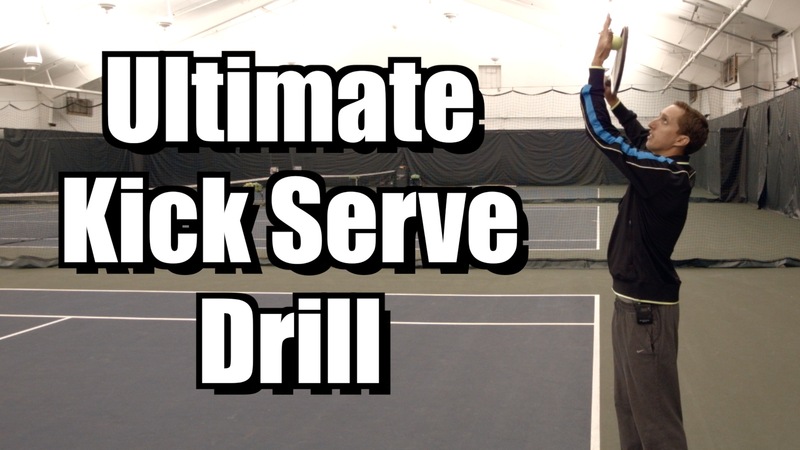 Want to hit your forehands on a dime? Click Here! Hit laser guided passing shots with ease – Click Here! 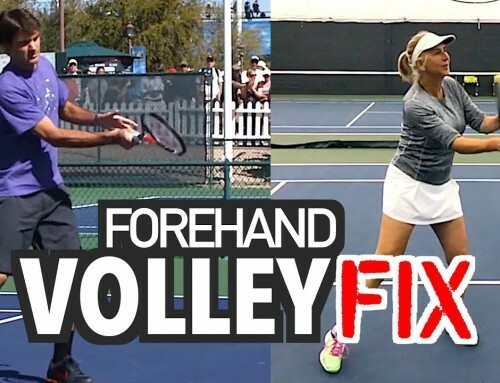 Tired of sending forehands sailing past the baseline? Here is how to reign them in WITHOUT sacrificing power. Making the correct adjustment is vital to your success on the court and the video above will show you exactly what that is. Comments? Questions? Leave them down below. Thanks for watching! 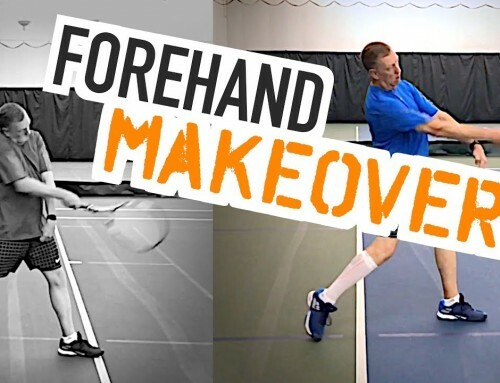 Get the most accurate forehands of your life – Click Here! Great advice. This is exactly what I suffer from. when I practice I hit out. when I play I tend to tighten up and not hit through the ball. 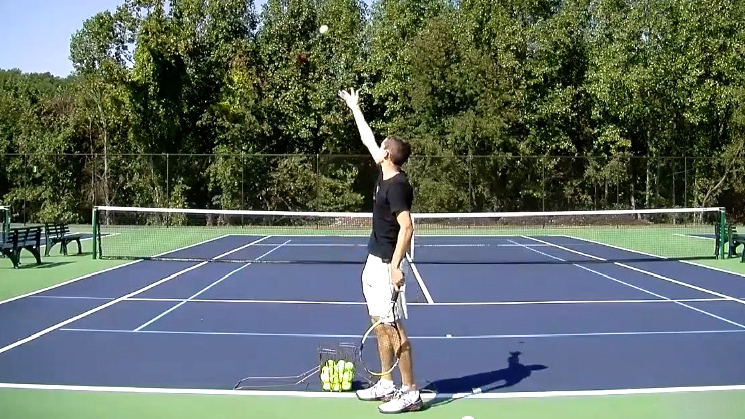 OR maybe adding a little more topspin would have kept the ball behind the line…? Yes, you're correct. However, the "how" part of that solution is quite a lot more complicated. Still important, no doubt about it, but in this video I wanted to focus on something more simple. Thanks for watching! Thank you for sending this. I liked this video very much and am apreciative of receiving your videos of instruction to play better tennis! I never thought of adjusting my racket head, but it makes sense. Thanks for the tip. Thank you. You described my action, hitting long, and then my follow up is hitting tentative shots. Will now do slight adjustments to make the fix. It is so logical cannot believe I haven't thought of it myself. Yikes. Many thanks for sharing your invaluable experience and knowledge! I always wish I could have a pro with me during a match reminding me to do just this or do that. How cool would that be? But since that's not legal, I try to keep your words in my head during practice or matches. Very helpful, Ian. Yup, that's part of the intrigue of tennis….no coaching (for most people). We're left to figure it out for ourselves as best we can. Glad to hear this was helpful, Diane. Awesome simple fix. Thanks Guys. Great instruction! I will continue to work on that. Thanks! You're welcome, Debbie. Thanks for watching. Good video Ian. Unfortunately not prepared to provide credit card info as part of a "free" trial offer. If a product is worthy, it will get the business without the need for such "marketing tactics". Glad you enjoyed it. Thanks for watching, Poida. Good info.If only there was something on your stick that would tell you how far to adjust. Wouldn't that be great….unfortunately there are many variables involved: speed of the incoming shot, trajectory of the ball and your racquet, the amount of spin on the ball, how fast you're trying to swing…the fact of the matter is finding the exact angle changes based on all those things so there isn't a simple formula. The best solution is experience and experimentation! 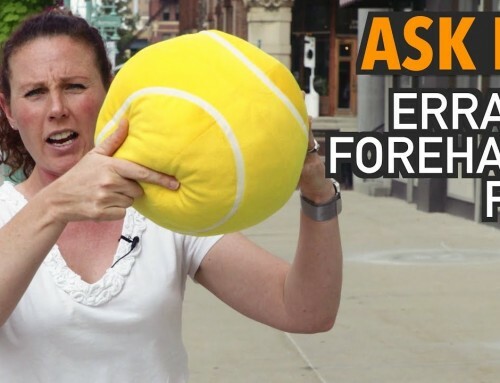 Great info to establish a good understanding of basic tennis knowledge. Thanks for the feedback, Eugene. Can contact with the ball too far infront cause the same problem? Actually….hitting too far out in front tends to result in the opposite problem: ball goes into the net.